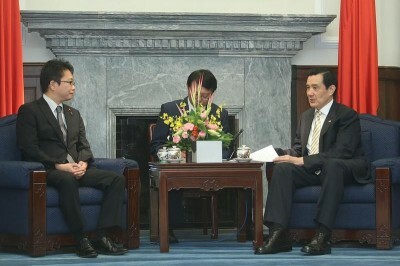 President Ma Ying-jeou met on the morning of September 9 with a delegation of members of Japan’s House of Representatives. The president briefed his visitors on the current status of ties between Taiwan and Japan, and called for continued cooperation to add further depth to the bilateral friendship. 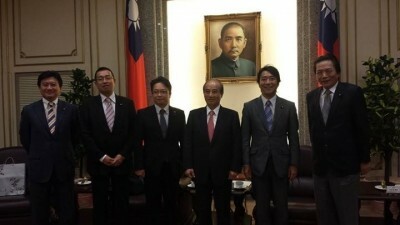 President Ma noted that this was the third visit to Taiwan since last year by House Member Keitaro Ohno. Mr. Ohno holds a Ph.D. from the University of Tokyo, worked at Fujitsu Laboratories for 11 years, and was a visiting industrial fellow at the University of California at Berkeley, so he is very familiar with the industrial, academic, and public sectors in both Japan and the United States, and is a rising star in Japan’s political arena, the president stated. Meanwhile, President Ma remarked, three generations of the Ohno family have maintained strong friendship with the ROC. Mr. Ohno’s grandfather served in Japan’s pre-war Office of the Governor General of Taiwan, while Mr. Ohno’s father Yoshinori Ohno was born in Taiwan and, during his tenure as Minister of State for Defense (2004-2005), took part in the “two-plus-two” talks with the United States, where he suggested that the Treaty of Mutual Cooperation and Security between Japan and the United States also provide for the defense of Taiwan. 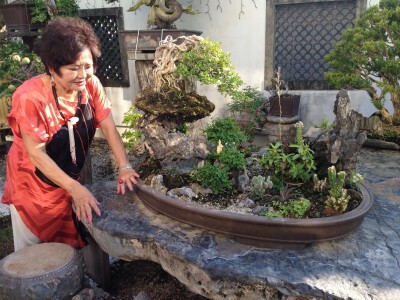 The president said these facts all show that the Ohno family has deep and close ties to Taiwan dating back many decades. 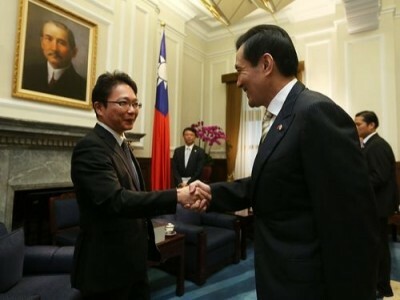 President Ma commented that after taking office in 2008 he designated the relationship between Taiwan and Japan as a “special partnership” to recognize the unique nature of bilateral relations, and to promote ties on a wide variety of fronts. Over the past six years, he said, important progress has been seen in economic and trade ties, tourism, and cultural relations, adding that relations are now better than at any time since the severing of diplomatic ties in 1972. As for economic and trade ties, the president told the visitors that Japan is Taiwan’s second largest trading partner, while Taiwan is Japan’s fourth largest, and important breakthroughs in bilateral ties have been seen in recent years. He specifically pointed out that Taiwan has established a representative office in Sapporo, while the two sides have signed a youth working holiday agreement and the Taiwan-Japan Bilateral Investment Arrangement. In addition, the two countries have inked an open skies agreement, which paved the way for the commencement of direct flights between Taipei’s Songshan Airport and Tokyo’s Haneda Airport. Closer aviation ties have pushed bilateral trade and air cargo volume to new highs, the president stated. Commenting on Taiwan’s participation in regional economic integration, President Ma stated that in June of this year Japan’s Foreign Ministry Press Secretary Kuni Sato said at an international press conference that the Japanese government welcomes Taiwan’s participation in the Trans-Pacific Partnership (TPP). The president expressed hope that Japan will help Taiwan join the TPP and the Regional Comprehensive Economic Partnership, thereby further strengthening cooperation between the two countries in the area of trade and economic ties. President Ma further explained that Taiwan and Japan have established a standing committee that carries out negotiations on an ongoing basis for recurrent problems. This, he said, ensures that the rights of fishermen from both countries are protected. The president remarked that the “joint conservation and management area” created under provisional measures agreed to by both countries is in line with the provisions of the United Nations Convention on the Law of the Sea pertaining to overlapping economic waters with neighboring nations. In addition, Taiwan and Japan have set out principles which provide for fishermen from the two countries to operate in specific areas and times. President Ma said this has strengthened mutual trust. The president then commented on the devastating mudslides that hit Hiroshima in August this year, killing over 70 residents and highlighting the great destructive power of natural disasters. 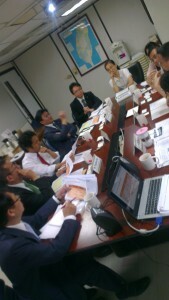 He stated that both Taiwan and Japan are located along an earthquake belt and frequently experience typhoons. The two sides, he said, are cooperating on disaster preparedness and rescue, and he called for continued efforts to strengthen their cooperative relationship in this area. 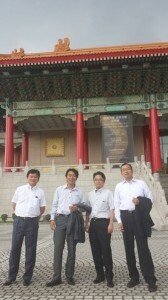 The delegation also included House of Representatives Members Jun Tsushima, Arata Takebe , and Toshinao Nakagawa.